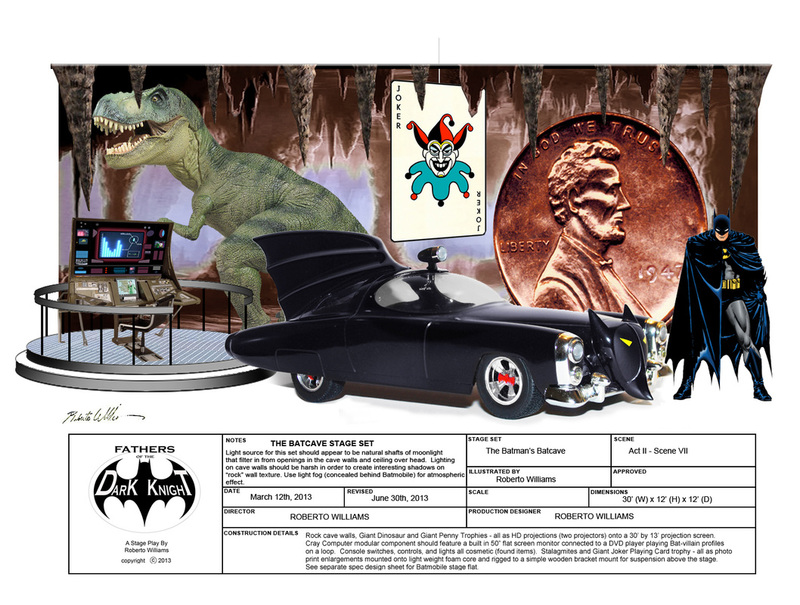 The Batman's subterranean base of operations, The Batcave, makes a dramatic appearance in "Fathers Of The Dark Knight". Continuing the theme of impressive theatrical sets, this spooky location will thrill and excite with its atmospheric heavy shadows and low-lying mist. Modular flats will provide the grand theatrical illusions of stalagmites, The Batmobile, and the famous giant trophies of the cave's gallery (as seen in the comic books)!